To say that conservatives are disappointed with this year’s primary season is an understatement. We were given 16 candidates across the Republican spectrum (plus one Democrat running as a Republican), providing some of the most experienced, qualified and conservative candidates in our lifetimes. But our primary system was not designed well for splitting the vote three or four ways, let alone 17, so the loudest voice won this time. How? After years of anger, some of it stoked by irrational friendly fire, conservatives turned to a liberal populist over conservative bonafides. At least enough of them did. Donald trump won the GOP nomination with 45%, the smallest percentage in modern primary history, and one fourth of that percentage was won after all the competition had dropped out. So naturally, conservatives were left in a really bad place – either vote for Hillary Clinton’s longtime friend and donor or allow her to win by voting for someone else. At least that’s the binary choice we’ve been given by some. 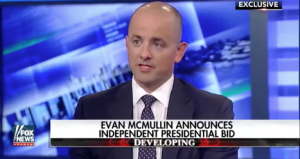 After months of unsuccessfully testing the waters for a strong Republican or conservative third party option, Evan McMullin announced his plans to enter the race for president. It comes two weeks after the Democratic Party convention that similarly left many liberal voters disillusioned with a system that nominated the two most unpopular and offensive candidates in memory. The criticism started immediately, with many scoffing, and others going full commando: “Traitor,” “spoiler,” “third rate” and my favorite bit of irony, “Hillary plant.” If people think McMullin is the “plant,” they’re not smart enough to engage in a political forum. But I digress. NOTE: If you watch nothing else, please click on the Bloomberg interview, the best of the lot. 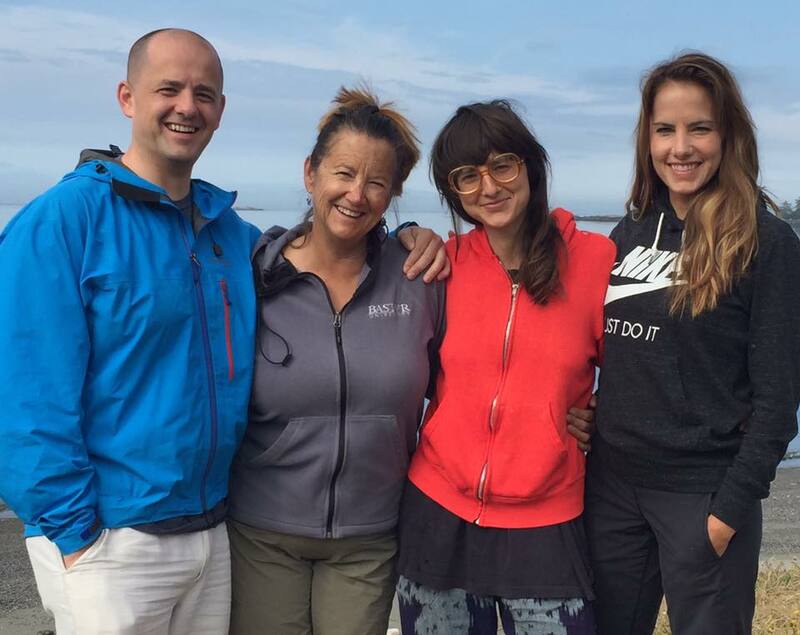 Seeming to come out of nowhere, Evan McMullin is no stranger to the political process. He is a red-blooded Republican with true credentials, intellectual heft and the character people look for in a candidate. 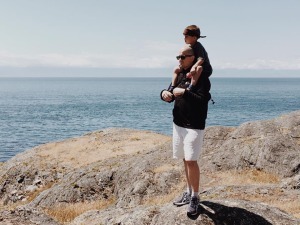 With most of his life in covert operations, and still single, he’s an avid family man with two sisters, a brother and parents that live in Seattle, Washington. We just haven’t heard much of him because his political ambitions were scant, as he served his country in whichever way he was asked. 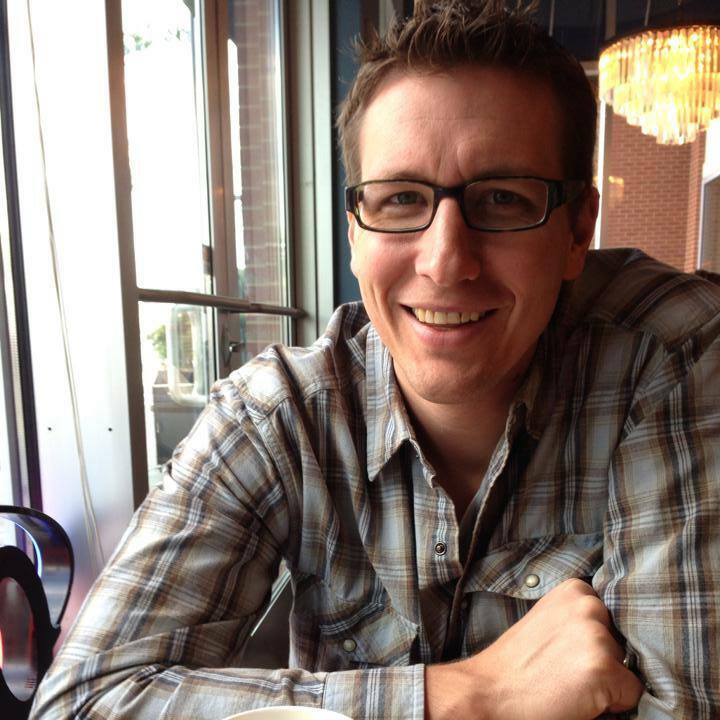 He attended Brigham Young University where he studied international law and diplomacy. 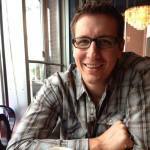 He followed years later with a masters degree in business administration from the prestigious Wharton business school. 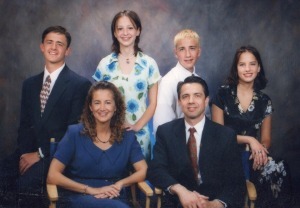 Full McMullin family with two sisters, and brother. His father, David McMullin, a former Boeing employee pictured with his wife, Lanie. 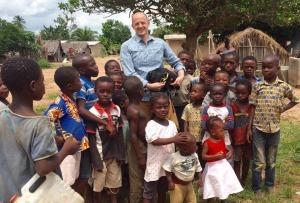 McMullin during a visit to Cote D’Ivoire. “Like millions of Americans, I had hoped this year would bring us better nominees who, despite party differences, could offer compelling visions of a better future. Instead, we have been left with two candidates who are fundamentally unfit for the profound responsibilities they seek. He is a lifelong Republican. He is a small government conservative. He holds to a simplified view of the constitution, that it means what it says. He believes in traditional marriage, but does not want to focus on SCOTUS efforts on this matter. He believes the government has no business managing health care. He believes the role of our military is for self defense, with united with other nations, in stopping genocide. He is a man of deep faith and integrity. He has served as a missionary, then employed to serve refugees for two years. He has private sector experience. He has laid his life on the line, serving in the CIA’s National Clandestine Service undercover in war zones. The National Review did a wonderful piece on McMullin HERE. 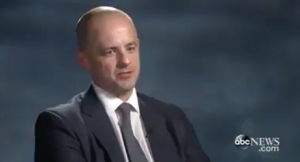 After serving undercover on behalf of the Central Intelligence Agency, McMullin began to give public speeches on policy, American government and how the grassroots can influence national policy. He then took a job with the House Republican conference, providing guidance on national security and directing general policy for Congressional Republicans. His allegiances are clear, and his fingerprints have been on much of the good that’s come out of the GOP the last few years. If you haven’t heard of his service to the country, it’s likely because he was trained to do the hard work undetected and not caring who gets the credit. His time undercover involved stints in Iraq, Syria and Jordan. His duties are mostly unknown, but he has confirmed it involved profiling, finding and removing terrorists from the field of battle both with arrest and use of lethal force. I am not a one-issue candidate, but abortion is a disqualifer for me.Modern advancement in technology has given us new perspective on how early life begins and the depth it goes while still in the womb. If someone believes it is a woman’s right to take a life outside of war, justice or the saving of another, they are not fit to represent me. Particularly for the presidency where they have a direct effect on the national issue, as they appoint thousands of judges on multiple levels. If we ever hope to turn the tide on the war for life, we must restore judicial protection of it. 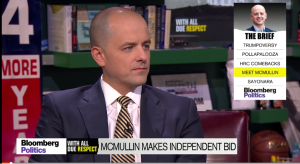 McMullin’s campaign is rumored to have access to over $100 million, both through direct financing, SuperPAC support, and possibly more. These projections dwarf efforts by Jill Stein and Gary Johnson. This is no vanity campaign. He has a well-designed website, active Facebook and Twitter feed and he’s been on virtually every media outlet giving interviews. His organization is experienced, deep-rooted and his campaign will not be a mere protest effort. Money makes exposure possible, and in a nation of 330 million people, it will take at least $100 million to have any chance of making a dent in this race. The people in McMullin’s corner are no slouches, either. Matthew Sawyer, general council to Ross Perot’s 1996 presidential campaign; Anne MacDonald, who was the chief of staff to the first lady Laura Bush; Joel Searby, owner of Data Targeting, and a pollster with experience under Mitt Romney and others; Mitt Romney himself, who has kept a symbolic arm’s length from the effort, but is certainly an element in McMullin’s recruitment; Rick Wilson, a longtime Republican strategist and networker. 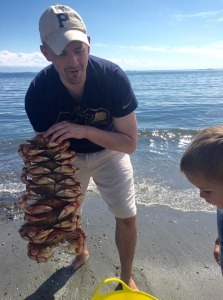 Searby has been hired as McMullin’s campaign manager. He is not a protest candidate. Even if he was, I would still prefer to vote for him over anyone else. But he actually has a reasonable opportunity to win the presidency the way it was intended: by consensus of our elected leadership. The president was never created to be a popularly-voted king, but rather serve the interests of the elected representatives we place there. An executor of the laws and protector of the nation. The wisdom behind this came from what the Founders knew throughout history, that while government must have checks and balances, pure democracy was a danger. And entrusting any branch of the federal government with enough power was too dangerous if popularly elected. Article I and the 12th Amendment to the constitution lay out the groundwork for presidential election. Whichever candidate that runs for president and secures a majority (not plurality) of ELECTORAL votes (each state decides apportionment), wins the presidency for a term of four years. If no candidate achieves 270 electoral votes, the decision goes to the House of Representatives and Senate. The Congress must choose between the top three winners of electoral votes. This has happened before, in 1825 during a four-way race. The House decides on the president with one vote per state delegation. For example, Wisconsin has eight Representatives, five being Republican and three being Democratic. Presumably, the Republican caucus would join the consensus choice of their party, voting 5-3, meaning Wisconsin would vote as a whole for the Republican candidate. The Senate decides their own president in this case, the vice president of the executive branch. A simple majority is needed. A quorum must be present, and in the case where the House fails to select a president, the Senate’s vice presidential choice becomes interim president. The reality is that the majority of our elected leaders understand the danger populism brings to the Republican Party and that trump’s candidacy could severely damage the Republican Party brand for decades. The only true Republicans in this race are Evan McMullin and Mike Pence, the running mate for trump. To this point, allowing Pence to rise to the top might be the more politically-acceptable decision, since he’ll likely have more popular vote and electoral support. 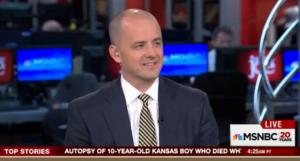 Even still, I prefer McMullin, who is resoundingly more consistent, unstained by the trump mess, and actually ran for president. 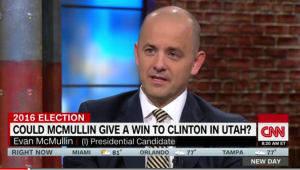 Right now, McMullin is making a major play for Utah, where he believes he can win their six electoral votes. He also has a chance in Virginia (17) and possibly Nevada (6). The petition access has closed in Nevada, but there are other means. The other two states will have McMullin on their ballots. If he can win a three (or four) way race in any of these states, he would likly keep either Clinton or trump from reaching 270 electoral votes, and stand before the House of Representatives. 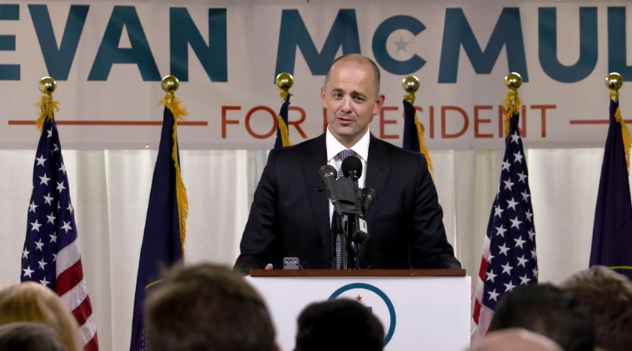 Much talk has circulated around an argument mostly based on hurried Google searches of state laws, that McMullin cannot get on the ballot in enough states to have a chance. A high power donor, John Kingston III, Bill Kristol and others have been working on ballot access for months ahead of McMullin’s announcement. This was not done in a vaccum of ignorance. While they did not have a candidate, they were busy securing ballot slots for a candidate when and if one came to be. 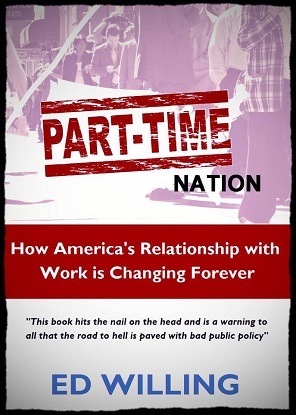 Their organization, Better For America, has been diligently working on this since earlier this year when initial efforts to secure an independent candidate failed. While they cannot work directly with McMullin’s campaign, several of the staff have resigned and begun working for McMullin. Five of these states are “battleground” states where either established party has a chance to swing the election, so their importance to this cycle is paramount, raising to the top their value to an independent candidate’s chances. However, some states have other means, such as fees that need to be paid. New Jersey is on this list, but BFA already secured a spot on the state ballot last month, and McMullin will fill that slot. Many other states have similar methods, where a blank space can be reserved, but not a candidate’s name until a later date. So this list is shrinking. There are some key findings in verifiable studies done by Data Targeting, whose owner Joel Serby is now running McMullin’s campaign. As it stands today, the most likely scenario is that Hillary Clinton will win the general election. While Donald Trump improved in the popular vote during the primaries, the electoral college map, because of his major problems among key demographics and battleground states, while possible, remains very difficult for him. Here are the most striking, historic numbers: 58. 55. 65. What are they? 58% of respondents are dissatisfied with the current group of Republican and Democratic candidates for President. 55% of respondents favor having an independent presidential ticket in 2016. A shocking 91% of voters under the age of 29 favor having an independent candidate on the ballot. 65% of respondents are at least somewhat, pretty or very willing to support a candidate for President who is not Donald Trump or Hillary Clinton. Both major candidates continue to have historically high negative name ID. 56% of voters have an unfavorable impression of Hillary Clinton. 55% of voters have an unfavorable impression of Donald Trump. I am not an island. There are millions like me, both liberal, conservative and in the middle who just want a candidate they can respect. Some would just accept a candidate they can stomach for at least four years. Millions are looking for someone they can hear and see on TV, and not be afraid of the division they cause in our culture or violating the constitution that’s held us together all these years. trump cannot win, with or without the #NevertRumpers, so our efforts would be best served by making sure no one gets to 270. Both major party candidates terrify these millions, and Evan McMullin is light years ahead of Gary Johnson and William Weld both in policy and financially. WE WANT A CHOICE WE CAN LIVE WITH. My choice, for the purpose of clarity, consistency and intellectual honesty is the latter. 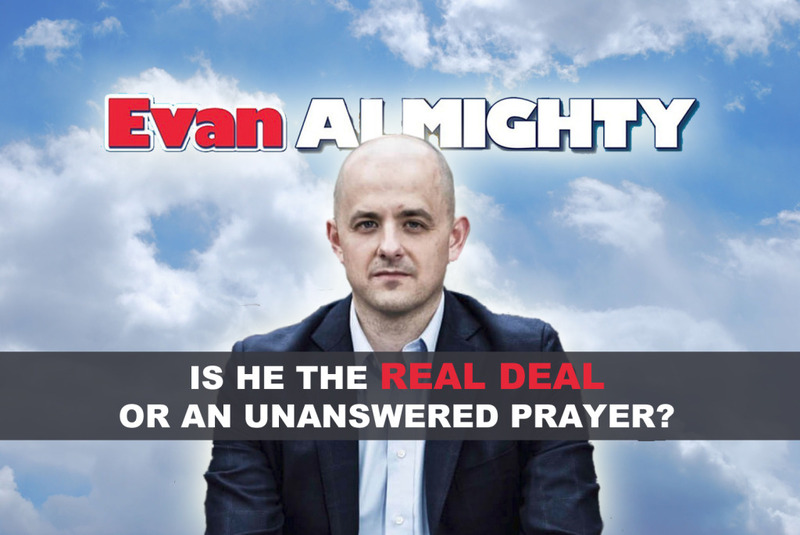 I will support Evan McMullin for president, and hope and pray that the voters in enough states agree he is the best choice. If he does not get to 270, neither will anyone else, so this will put the decision squarely on the House of Representatives. I would be pleased with either allowing Pence to become president or McMullin. America will win, in either case. 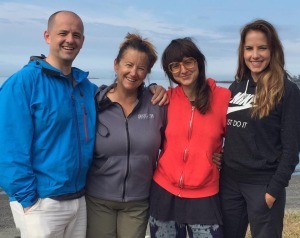 Please join me in supporting Evan McMullin for president. After all, a vote for trump is a capitulation vote for Hillary Clinton. With McMullin, we can sleep at night knowing we supported someone who loves people, loves this country and has already put their lives on the line to serve each of us. You can read more about what he believes on everything from health care, poverty, life and national security HERE.